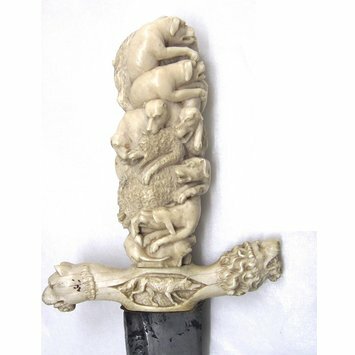 This ivory hunting sword or knife was made in South Germany in about 1680-1700. 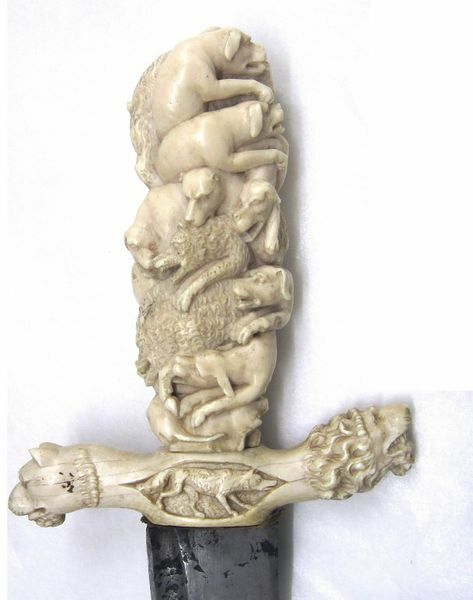 The handle is carved with intertwined animals: bears, lions and dogs. It has a curved blade. Sword with carved ivory hilt, the mounts of blued iron overlaid in gold and silver. 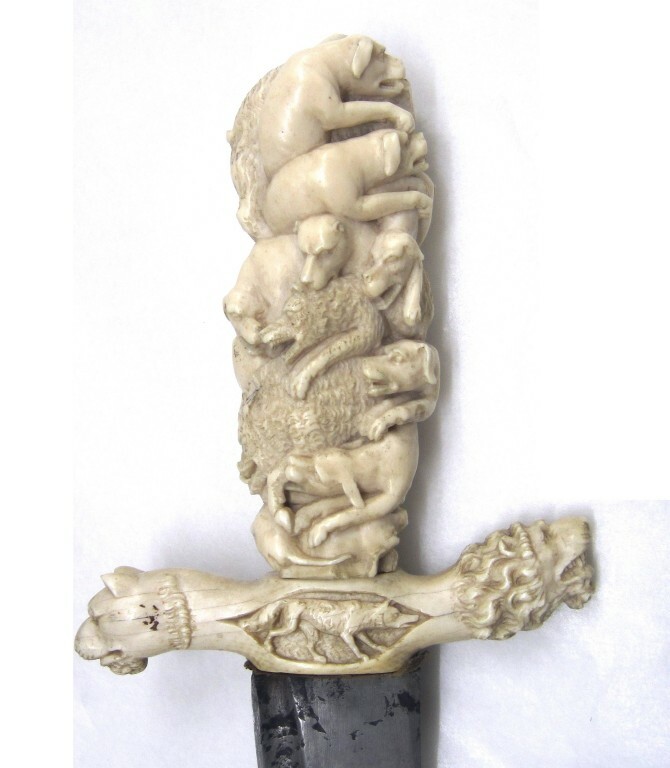 Carved with intertwided animals: bears , dogs and lions. In the centre of the base of the handle on one side is a medallion of a bear, and on the other side, a fox. A lion's head and a dog's head protrude from either end of the base. The blade is curved. Bought from Sigmund Pickert, the son of the dealer Abraham Pickert, in Nuremberg in September 1871. Henry Cole was in Nuremberg in September 1871, when he selected for purchase a number of objects for the Museum, for a total sum of £350, from Herr Pickert. These were then acquired from January 1872 onwards.